Salute America in these women's Flag Socks! 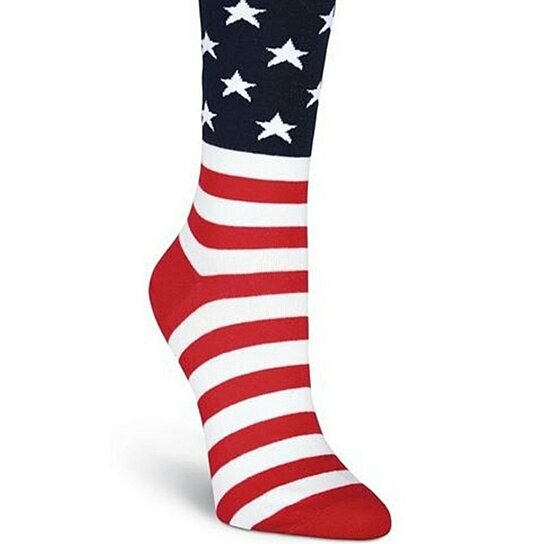 This pair of socks is a patriotic tribute to the USA. With the American flag's stars and stripes in bright cherry red, crisp white, and rich blue in an allover print, they're perfect holiday socks for Fourth of July and all year round! Designed in Los Angeles, imported from Korea.